I can only assume the Russian translates to toilet. 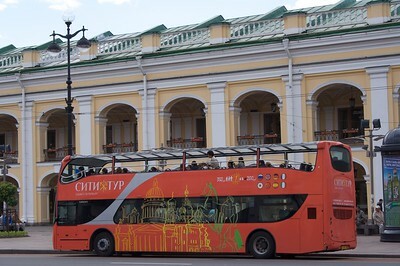 I think every major city in the world now has these. I have no idea how much we paid but it must have been close to $40 US. 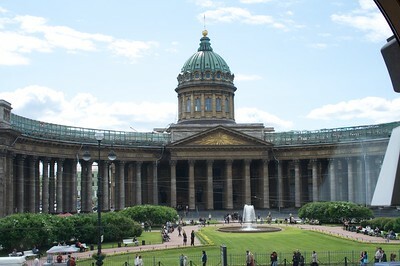 This is supposed to be the largest cathedral in Russia, built in the first half of the 19th century. It certainly is an impressive structure even when viewed from a couple of blocks away. 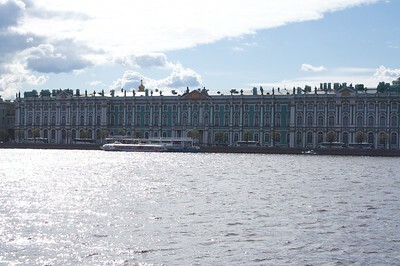 The world famous museum seen from across the Neva River. 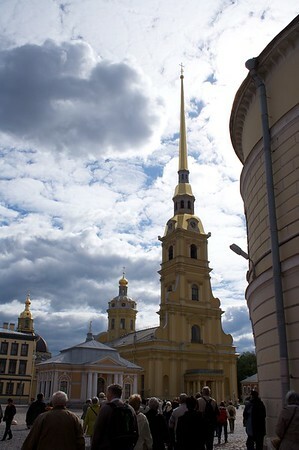 We didn't actually visit but the building, the Winter Palace for Russian emperors, was very impressive. 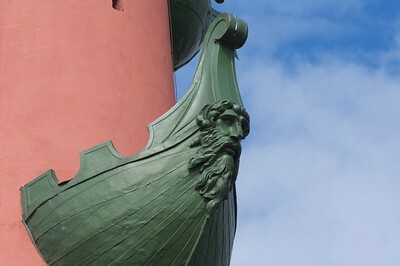 The bow of a ship, one of several faces that are part of a lighthouse which guided sailors on their trip down the Neva river. 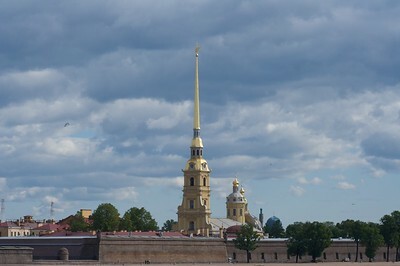 The Peter and Paul fortress, built by Peter the Great in the early 1700s to protect his new city, as seen from across the Neva river. The cathedral, of course, dominates the view. 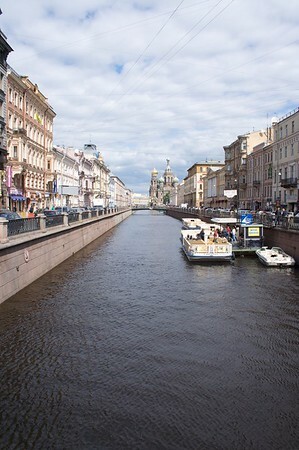 Built in the early 1700s, this was the first in the city to be built of stone and is still the tallest structure. We stopped at the cruiser Aurora but I found this building more interesting. 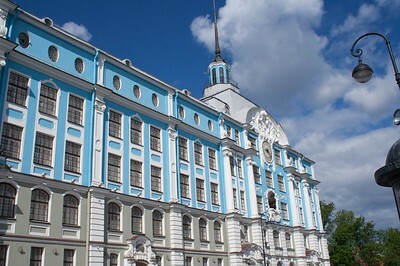 The guide said it was someone's palace at one time but was now being used as a high school. Must have some impressive classrooms. 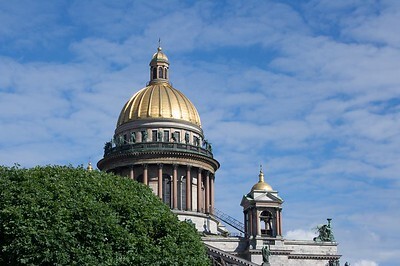 Erected in the 1880s on the site where Alexander II was killed, the design of this elaborate building drew heavily from St. 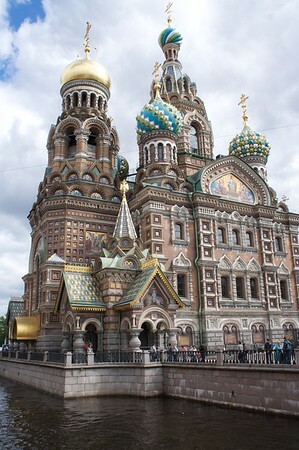 Basil's Cathedral in Moscow. This is now a subway station but it would be hard to find the trains for all the stores. 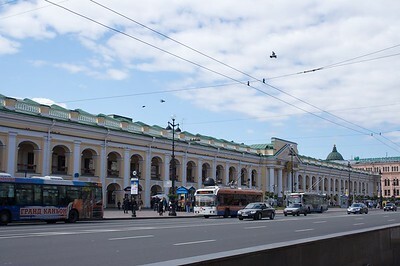 It lies at the center of the high end shopping district of the city. One of many we saw during our time in the city. 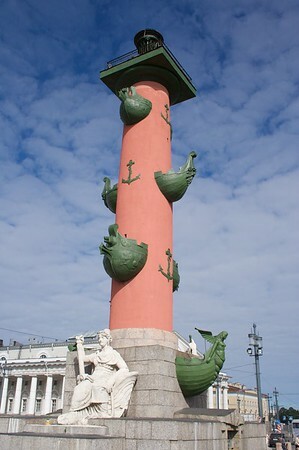 This one runs between Nevskiy Prospekt and the Church of the Spilled Blood, visible in the distance. 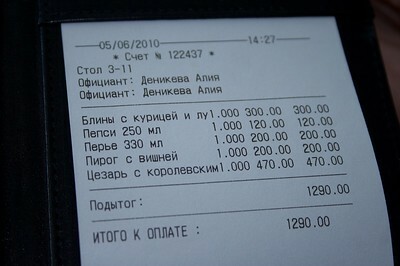 We ate in a busy but charming cafe above a bookstore on Nevskiy Prospekt. 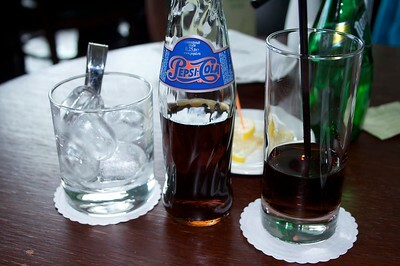 And this is how they served my Russian Pepsi. This was the view out the window as we ate lunch. It was built in the early 1800s and models after Basilica of St. Peter’s in Rome. 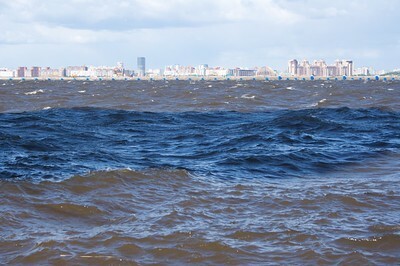 Our first day in St. Peterburg was very windy as shown by the waves in the harbor next to the ship.